Over 4,000 babies have now been born in Brazil with shrunken brains since November 1, 2015. Brazil normally gets approximately 150 cases of this type of birth defect each year, which means abnormal births of this type have increased by approximately 13,000 percent. While the Brazilian government rushes to blame the Zika virus for this huge rise in abnormal birth defects, the facts remain clear. Only a small number of babies with birth defects, who died, had the virus in their brain. This means a large number of the babies who died had no Zika virus in their brain. Hard to blame Zika then, which has been around since before 1948 and has never been known to cause birth defects. In fact, Zika makes only one in five people get “mildly” sick with flu-like symptoms, with no symptoms at all in 4 out of 5 people. So why are they quick to blame a generally benign Zika virus? In late 2014, the Brazilian minister of health announced that a new Tdap shot would be mandatory for all expectant mothers starting in 2015. Records now show that all mothers with birth defect babies received this newly formulated vaccine while pregnant. The timeliness of the Tdap vaccine and the rise in birth defects is more than just a little coincidental. The consequences of this untested vaccine is what is being swept under the rug. 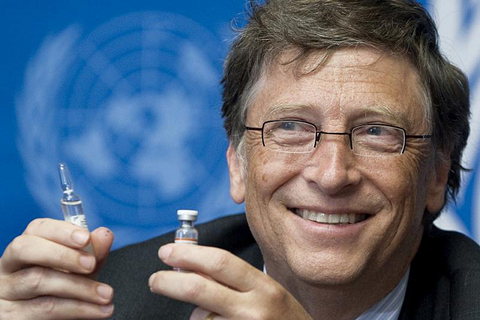 Which brings us once again to Bill Gates, the King of Eugenics and Vaccines. In 2011, the Center for Disease Control (CDC) issued a recommendation that pregnant women receive the Tdap shot at 20 weeks gestation. 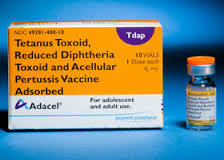 Tdap combines the Tetanus, Diphtheria, and Pertussis (whooping-cough) vaccines into a single jab. The Tdap shot has never been proven safe for use during pregnancy. In fact, Tdap is classified by the FDA as a Class C drug indicating it is NOT A SAFE CHOICE during pregnancy. Mexico may have figured out the TDAP SHOT! Jim I have a coworker who’s husband is from Mexico. Informed her about TDAP and Zika. She said she watched the mexican news channel last night and they were instructing pregnant mothers NOT to get TDAP shot. Not sure how true but you are there maybe you heard same. My comment: I have not watched the news for the last few nights, but approximately a week ago I made it perfectly clear to a well respected and very active Mexican doctor that I knew it had to be the Tdap shot, and referenced how the vaccine manufacturers were re-programming the immune system’s macrophages to sculpt what people would become due to giving people “immunity” to such things as intelligence, strong will, and other traits a tyrannical power structure would want customized to serve it’s ends. We then discussed Zika and how it could not possibly be the cause of the brain damaged birth defects, and I mentioned Brazil’s new Tdap formulation which matched the timing perfectly. I appeared to get lucky, because this particular doctor was well aware of the ability to sabotage vaccines exactly the way I stated and took what I said seriously. All it would take then is for this well respected doctor to post a bulletin and overnight Mexico would become aware of what is going on, I have not spoken to this doctor since but would like to think I had an impact. I will confirm if this is real, I had something else planned for blowing this into the open but if the genie is already out of the bottle, that will be good enough! AND TO BURY THE NEXT ZIKA SCAM, WHICH IS LABELING IT A “PANDEMIC”: Zika is a mild virus that has NEVER caused a single death in the entire 70 plus years it has been known about, 80 percent of the people who get it show no symptoms at all, and it goes away, with the remaining 20 percent getting only a mild headache and other minor symptoms. But it has a spooky name, will that alone be enough to scam the public? NOT if I have the final word!